As part of the University improvements to facilities, several elevators across campus have been renovated to improve accessibility, update technologies, and address routine maintenance. 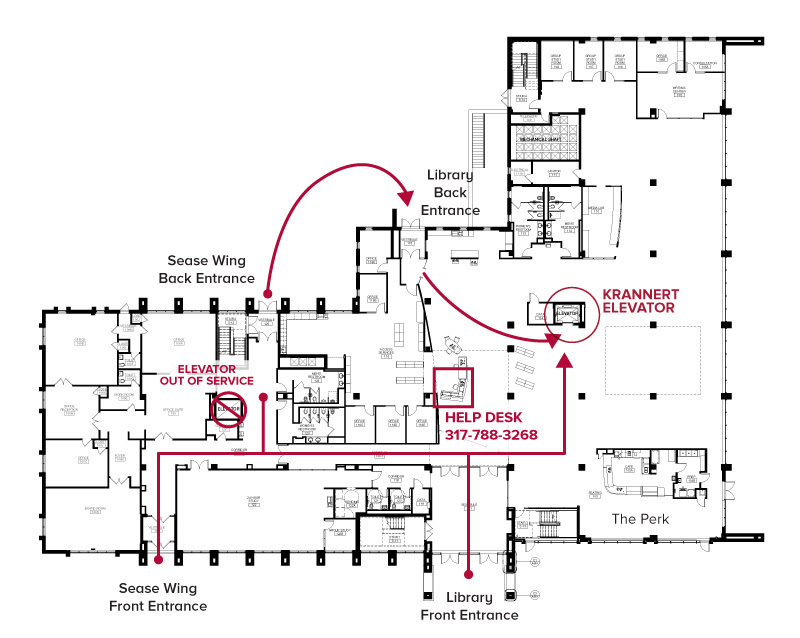 The next one up is the elevator in Sease Wing (Krannert Memorial Library). Renovations for this elevator begin Monday, October 22 and are anticipated to be completed in early December. During the renovation, guests needing the use of an elevator will be able to use the Library elevator. Guests should check-in at the Library Information Desk as some entrances from the Library to Sease Wing require key access. Please also consider alternate locations for meetings during the renovations that do not require elevator access. For questions, please contact Facilities Management at 317-788-3258. In the event of an after-hours emergency, please contact 317-788-3333. We appreciate your patience while this important improvement to our campus facilities is underway.